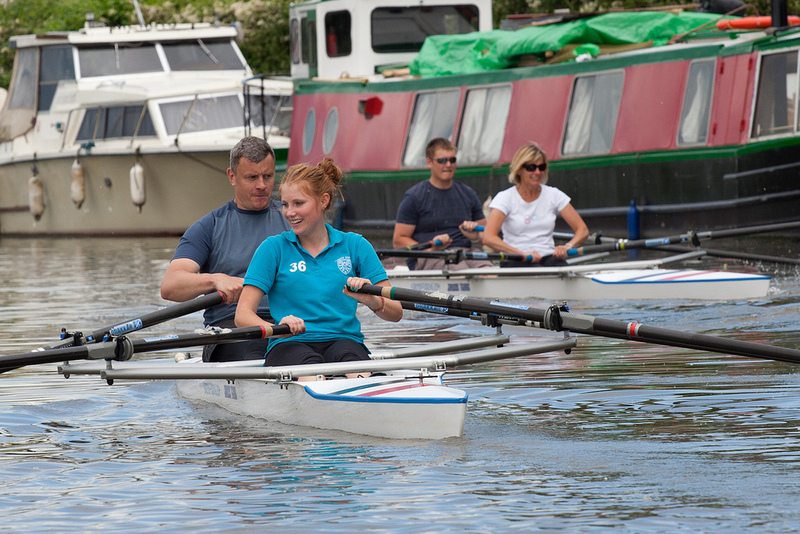 The Eurodiffusions training and recreation range of boats will take a complete beginner up to a level of competence that will see them capable of paddling a fine boat. Aimed at the complete beginner this boat is excellent for nervous starters into rowing. The totally flat bottom is reminiscent of a surfboard giving complete stability and the glass fibre and polyester construction means it takes the beginner rower knocks and bumps in its stride. 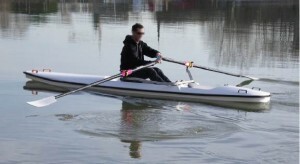 This boat is a single scull but comes with a coaching seat facing the rower and stainless steel wing rigger. Aimed at confident beginners this trainer single scull provides a more stable platform in which to learn both the basics and finer points of sculling technique without completely removing the risk of capsize. The glass fibre and polyester resin construction means this boat takes the rougher handling of beginners and learners in its stride and comes fitted with an aluminium wing rigger. This double scull version of the Fun Skiff has all the features of the Fun Skiff with the added opportunity for learners to develop crew cohesion and timing skills. Available as a coxed quad, coxed 4 or convertible coxed quad/ four this boat can perform the role of learner crew boat or touring boat. The glass fibre and polyester resin construction makes it highly durable and comes with aluminium wing riggers. If you’d like to try one of our demonstrators for a test row then please contact us.